Home / Blog / Uncategorized / Is thinking ethically different to thinking compliance? I am currently on workshop 26 of an 80 workshop program on the ethical principles embedded in our client’s Code of Conduct. As ever I am struck by how very few employees understand “the why” or “the ethical imperative” behind their employer’s code of conduct. In that prevailing vacuum of unawareness, we find employees remain disengaged from their Code of Conduct because of an unquestioned assumption that no employer has a right to tell them what to value or how to behave! 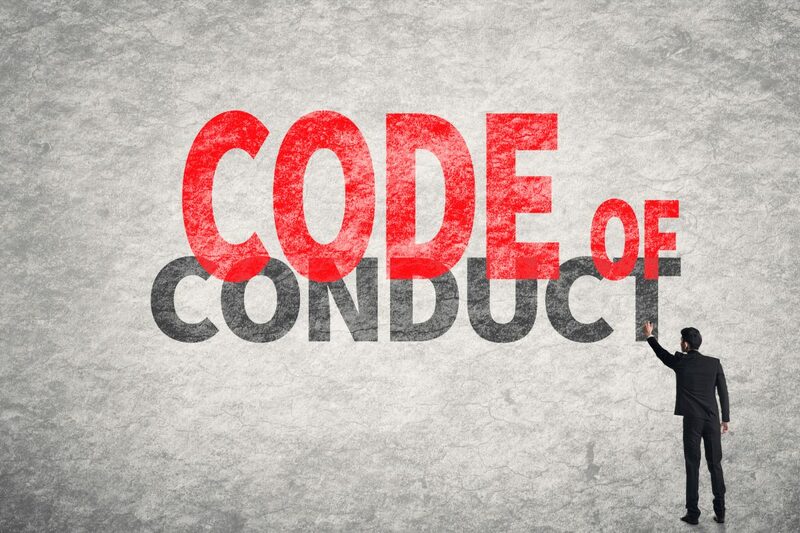 Code of Conduct training, therefore, is as much about unpicking unquestioned assumptions about who has the right to set behaviour standards in the workplace as it is about helping employees better understand how they can use the organisation’s code of conduct to protect themselves and to work towards ensuring a fair workplace culture is maintained. We have learnt that helping employees better understand who they are in the workplace is the first step to getting their engagement with the code of conduct and its ethical dimensions. This self-awareness is built by first focusing on the sort of organisational contextual pressures that employees will face. These include the all-pervasive pressure “to go along to get along” as well as time budget pressures that challenge personal integrity and nudge employees into incremental unethical behaviours. We then focus on the well documented rationalisations that employees will use to justify those little unethical steps that they have just taken such as “no one gets hurt” or “I have nothing to personally gain from fudging these figures” and all the other well-documented rationalisations we use to blindside ourselves to our ethical lapses. It’s very much a layering process drawing from the field research in behavioural ethics, sociology and psychology. We find employees are simply fascinated about this new research and its relevance to their workplace behaviour. Rather than the typical angst that is generated around the philosophical approach with its moral judgements, employees are affirmed by the field research that highlights how even with every good intention, ethical people can find themselves being pushed towards unethical acts because of psychological and sociological pressures that remain out of their conscious awareness. Facilitating adult learning, especially in how to canvass the ethical dimension inherent in practically every workplace decision, can be very challenging but it can also be very rewarding. Employees demonstrate time and time again that they want to better understand themselves at work. They want to know how they can build better understandings of their team coworkers so that they can perform better as teams. They want to better understand how they can withstand workplace pressures so that they can maintain their personal sense of integrity. And, perhaps most surprising of all, they want to better understand how they can help leaders safeguard their company’s reputation from the few rogue employees who come to work with the intention of behaving badly. Facilitating ethical thinking as a prelude to workplace codes of conduct is a win/win for employer and employee as workshop feedback testifies. It’s time we moved beyond the minimum, beyond compliance and reached out to employees’ hearts and minds. By so doing we raise the standards for all workplace interactions.